Rio also portrayed a loving, caring bond between human and bird based on trust. Many birds are loved and cared for - not ignored and neglected. Unfortunately, we tend to focus on the wretched stories of hoarders, sub-standard bird mills, etc, that we forget that many birds are loved, well fed, and happy. Then we are shown the flip side of the coin that many do not know about�those who regard birds as a commodity rather than distinct living beings. 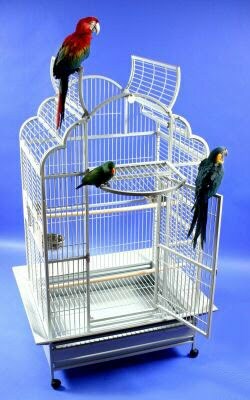 We are shown a gang of unscrupulous thugs who market stolen birds to line their pockets with money. Rio is more than a charming love story between two endangered macaws, it exemplifies how we should and should not treat living beings.